Shoemoney has reopened the doors to Shoemoney System and he’s got a couple of special bonuses just for John Chow dot Com readers. The ShoeMoney System is a step by step video training system, teaching people how to make money on the internet. With a new video every three days, Shoe holds nothing back, from basics to promoting affiliate offers, Pay Per Click, social networks and more. Jeremy has re-arranged the Shoemoney System course material so that you get to make your first $100 before the first 30 days are over and your first $500 before 60 days are up, and your first $1,000 by the time you’ve been on board for 90 days. It’s all about results. Shoe has also secured exclusive deals with Google, Microsoft, Yahoo, Facebook, SponsoredTweets, Azoogle and a few others. Every student of the ShoeMoney System will be awarded a total of $2,500 in advertising coupons. Those coupons more than pay for the course! If you sign up for Shoemoney System via this blog, Shoe will send you a limited edition Shoemoney T-shirt and a signed copy of Gary Vaynerchuk’s best selling book, Crush It! In addition, I’ll send you a signed copy of my new book, Make Money Online – Road Map of a Dot Com Mogul, once it comes off the presses. The bonus offer is good until this Friday or until Shoe closes the Shoemoney System, whichever comes first (Shoe sold the System out in 20 hours last time). 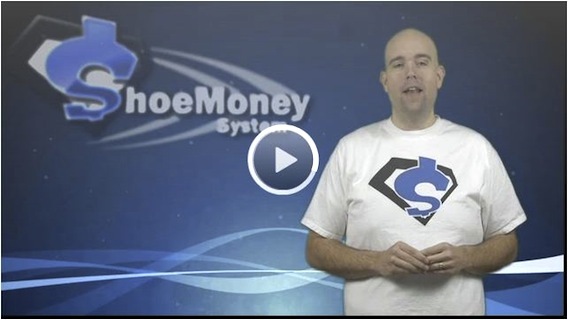 The Shoemoney System is covered by a 60 days no questions asked money back guarantee. Try the Shoemoey System for a full 60 days and if it isn’t everything you hoped it would be, you will get all your money back. You cannot lose.